i. Union Minister of Commerce and Industry Suresh Prabhu has launched the Intellectual Property (IP) mascot ‘IP Nani’. The mascot was launched during a conference on the National Intellectual Property Rights Policy in New Delhi. ii. The first and foremost objective of the Policy is “IPR Awareness: Outreach and Promotion”, aimed at raising awareness on IPR for school children to nurture creativity and the ability to innovate from a very young age. i. The Ministry of Housing and Urban Affairs has been able to achieve substantial milestones in both physical and financial terms in so far as mission objectives/targets are concerned. ii. Thus, during the year 2017-18, while the total cumulative grants released was Rs.46,663 crores, Utilization Certificates were due only for the grants released upto March 2016, i.e. for approximately Rs.10,365 crores. i. The Himachal Pradesh government will spend 25 crore rupees on renovating and developing the historic British Raj 'Bantony Castle Estate as a major tourist attraction. ii. The Bantony Castle, owned by a business family and housing the state police headquarters, was acquired by the government for over 27 crores two years ago. i. Indian Meteorological Department (IMD) has issued an advisory to Tamil Nadu, Kerala, Karnataka, Goa, Maharashtra and the Lakshadweep archipelago over cyclonic storm ‘SAGAR’. ii. The cyclonic storm lay centred over the Gulf of Aden, about 390 km east-northeast of Yemen’s Aden city. Director General of IMD, Dr K. J. Ramesh advised fisherman not to venture into Gulf of Aden and adjoining areas. i. The Union Environment Ministry launched the Green Skill Development Programme (GSDP) with an aim to train over 5.5 lakh workers in environment and forest sectors in the country. ii. Union Environment Minister Harsh Vardhan also launched a related mobile app ‘GSDP-ENVIS’ to boost employability and entrepreneurship of the youth in the country. The app can be used for information and for applying to the courses. i. 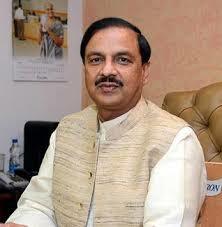 The Minister of State for Culture, Dr Mahesh Sharma led the Indian delegation to the 15th Meeting of the Cultural Ministers of the Shanghai Cooperation Organization(SCO) Member States held in Sanya, China. India participated for the first time at the Meeting of Cultural Ministers of the SCO. ii. India became a full member of the Shanghai Cooperation Organization (SCO) in June 2017 during the SCO Heads of State Summit in Astana, Kazakhstan. i. Guatemala has opened an embassy in Jerusalem two days after the U.S. moved its embassy to the contested capital city. ii. Israeli troops opened fire on Palestinian protesters after President Trump’s pledge to move the U.S. Embassy from Tel Aviv to Jerusalem was fulfilled, taking tensions between Israel and Palestine to boiling point. · Israel Capital- Jerusalem, Currency- Israeli new shekel, Israeli Prime Minister- Benjamin Netanyahu. · Guatemala Capital: Guatemala City, Currency: Guatemalan quetzal. i. Minister of State for External Affairs General VK Singh visits North Korea, the first high-level visit from India in 20 years. General VK Singh held talks with his North Korean counterpart and a host of other leaders. ii. The minister who is on a two-day official trip to North Korea held discussions with Kim Yong Dae, Vice President of the Presidium of the Supreme People's Assembly. · North Korea Capital- Pyongyang, Supreme leader- Kim Jong-un. i. BSE Ltd became first Indian exchange to be designated as Designated Offshore Securities Market (DOSM) by United States Securities and Exchange Commission (US-SEC). ii. DOSM status will allow the sale of securities to US investors through the trading venue of BSE without registration of such securities with US SEC. This will ease trades by US investors in India and also enhance the attractiveness of Indian Depository Receipts (IDRs) amongst US investors. · BSE is Indian stock exchange located at Dalal Street, Mumbai. · It was established in 1875, making it Asia’s first stock exchange. · It was first Indian stock exchange to be recognized by Government under the Securities Contracts Regulation Act in 1957.
i. The U.S India Business Council named Ambika Sharma as its head for India. Ms. Sharma was Director General for International at the Federation of Indian Chambers of Commerce and Industry (FICCI). ii. Ms. Sharma will be responsible for overseeing and guiding USIBC’s growth strategy in India through its offices in New Delhi and Mumbai, as well as leading the charge on policy advocacy issues for USIBC’s diverse membership with a variety of stakeholders. i. Veteran Bollywood actor Sridevi was honoured with the TITAN Reginald F Lewis Film Icon Award at the ongoing Cannes Film Festival. ii. The award traditionally celebrates women of the film industry all over the world and also salute the multi-cultural impact on the world of cinema. i. The inaugural National Para Games, on the lines of National Games for able-bodied athletes, will be held under the Khelo India Scheme in June-July 2018 in Bengaluru. ii. The Games will be held for the age group of 16 to 40 (men and women) in 10 disciplines viz. para athletics, badminton, chess, blind judo, para powerlifting, shooting para-sport, para-swimming, table tennis, wheelchair basketball, wheelchair fencing. · Col. Rajyavardhan Singh Rathore is the Minister of State (I/C) of the Ministry of Youth Affairs and Sports.